321 Division Street : 125 Years Young « How Do You Measure 525600 Minutes? Plaque designating that 321 Division Street is officially part of the historic district. It’s time to celebrate two milestones at 321 Division Street. This year, we celebrate the 125th birthday of the house and our 15th anniversary as its guardians. It’s hard to believe we’ve been here this long. In 1994, Michael and I happened to be invited to a private party at this big, old, scary house we’d admired from a distance for sometime, never imagining we’d ever step inside. We both agreed it would be so cool to live in a place like this some day. Flash forward four years: Michael just happened to overhear a woman going on and on to a friend of ours about a house that just went on the market. The more she talked, Michael realized she was talking about the house– and we wasted no time getting an appointment for a viewing. The oldest known photograph of 321 Division Street from the early 1900’s. Built by John Newman in 1889, Butterman’s, as it is often referred to; is a bit of a rare breed. 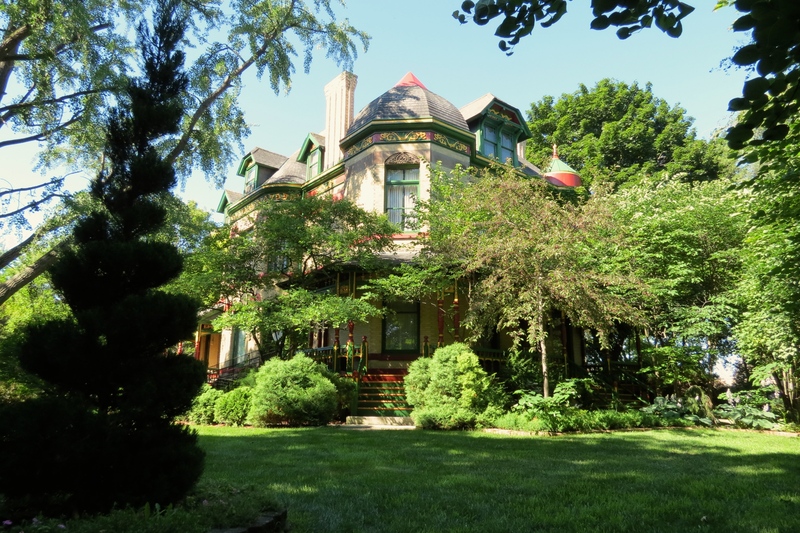 It is a brick and stone Queen Anne, unlike the majority that are mostly wood construction. It originally featured 14 rooms, eight fireplaces, over 30 stained glass windows, and 13 different types of wood. 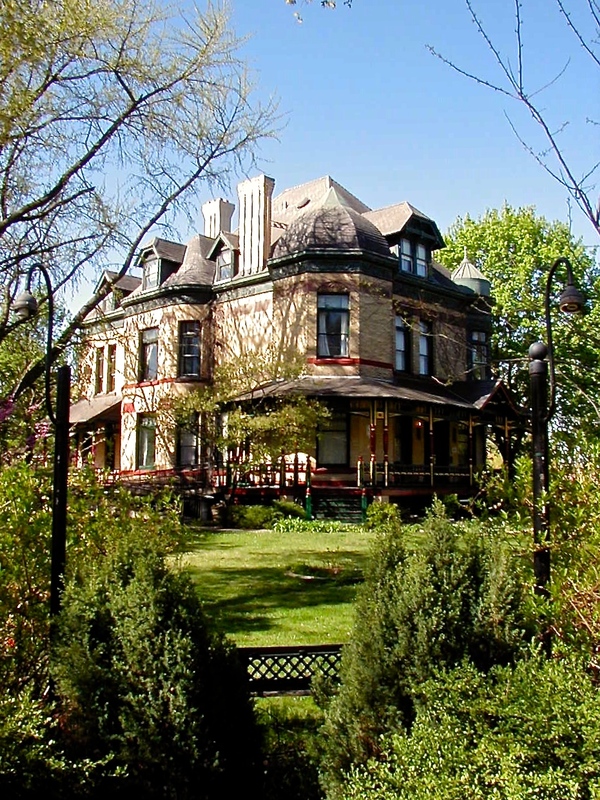 It is listed as one of the thirty-five most influential buildings in the Elgin Historic District. At the time John Newman built the house, he was also busy acquiring fifty-two creameries and is often credited for setting the Midwest dairy prices in the late 1800’s. He is most famous for his Spring Brook Creameries brand butter and served as President of the Elgin Board of Trade from 1894 to 1911. 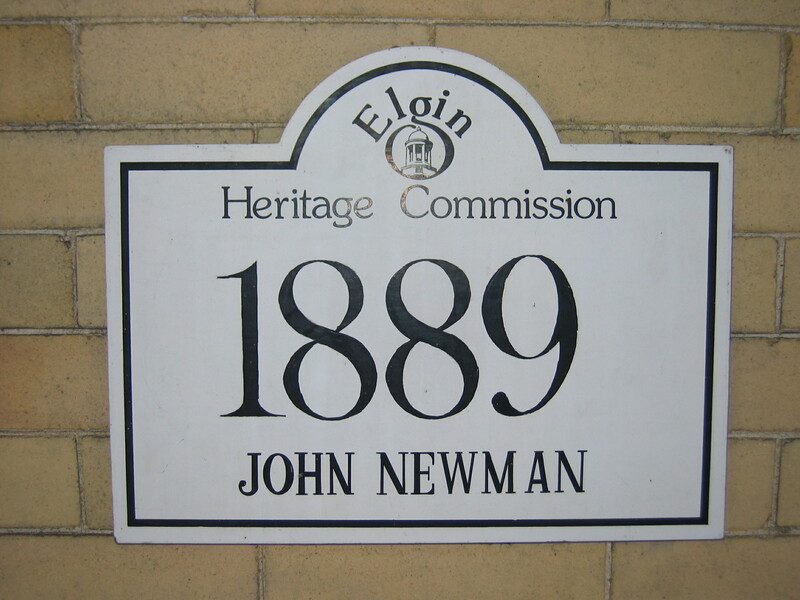 Following the Newman family, the Ludwig family lived at 321 Division for many years. It sat empty towards the end of the 1960’s, was heavily vandalized in 1973, and considered a candidate for demolition. All the stained glass windows, many of the chandeliers, ornate door hardware and other intricacies were gone. Vagrants squatted in the house, starting a fire in the foyer by the grand staircase causing minor damage. Luckily, the Powers family came to the rescue, saving the house from demolition and preserving and extensively renovating 321 Division into what became, for a time, an upscale dinner club known as Butterman’s Restaurant, which opened in 1976. 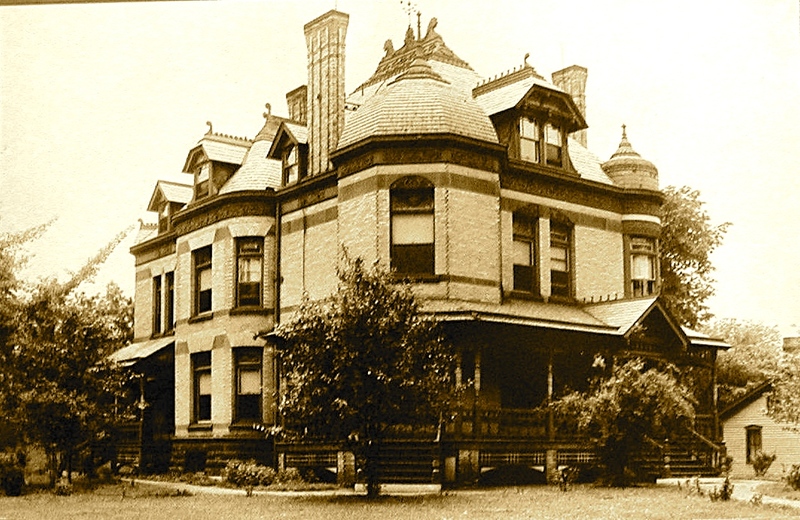 The John Newman House, 321 Division Street as it looked in 1998. After a few successful years, the restaurant began to struggle and started opening primarily for private parties before closing completely by the early 1990’s as the owners fought to find a new, sustainable use for their treasure. We’re only the third family to live here. Prior to our purchase in 1999 and sometime after 1994, it had become law offices, with the industrial basement kitchen rented out to a caterer. Even though we closed on the house in February, we weren’t able to fully occupy until all the renters’ leases were up, July 1, 1999. It’s really been fifteen years. 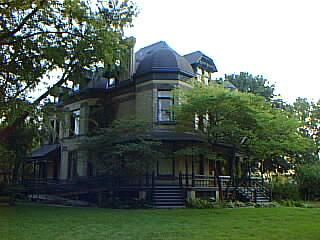 The John Newman House, 321 Division Street, Spring 2004. Owning an old house brings many joys and frustrations. Enjoying the unique beauty and character of the home is sometimes overshadowed by the constant upkeep. Something always needs attention. The romanticized notions of living in a place like this are certainly balanced by the hard work necessary to keep it going. Still, I can’t help but treasure and relish in the time we’ve spent here. Our first projects after acquiring the house included the addition of a wrought iron fence with drive through gates and the removal of the parking lot that ran the entire west side of the property. Tons and tons of top soil had to be brought in after the asphalt was removed. At first, we planted the entire side yard with grass. Slowly, we’ve added to the landscape over the years, first adding a gazebo and then plantings and stepping stones– some of which I made myself. I spend much of the summer and fall outside enjoying the grounds. There are currently more than 75 trees on the property and hundreds of shrubs and perennials in need of attention. 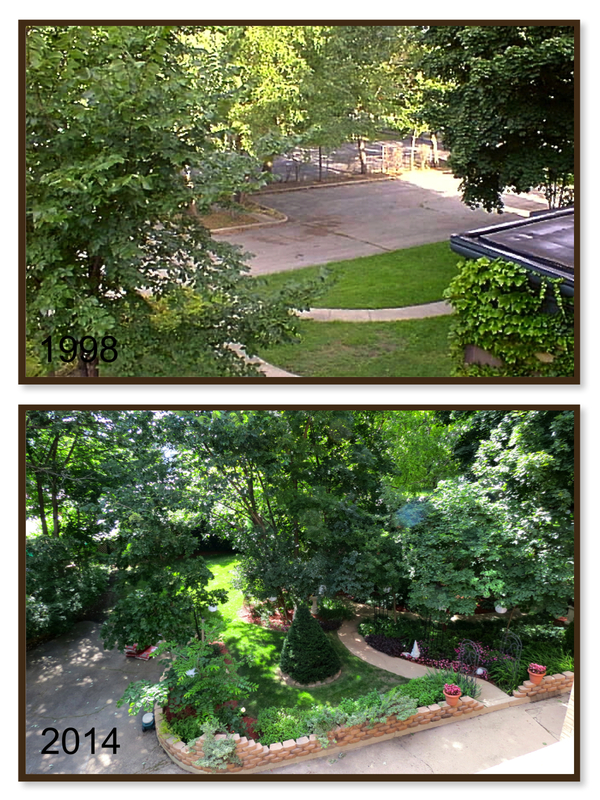 The yard continuously evolves as things grow, creating challenges in deciding what to add or subtract in maintaining our little forest in the city. 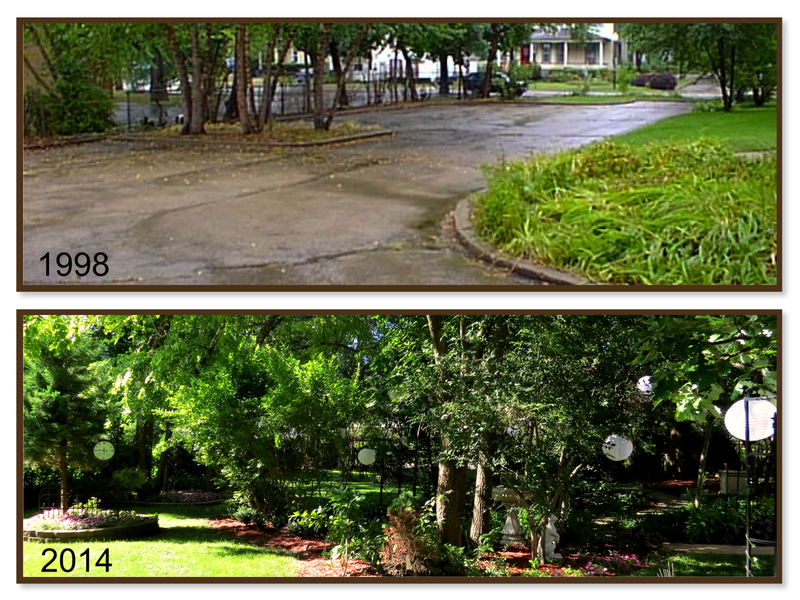 I’ve tried to create areas that look landscaped but at the same time maintain a natural feel. 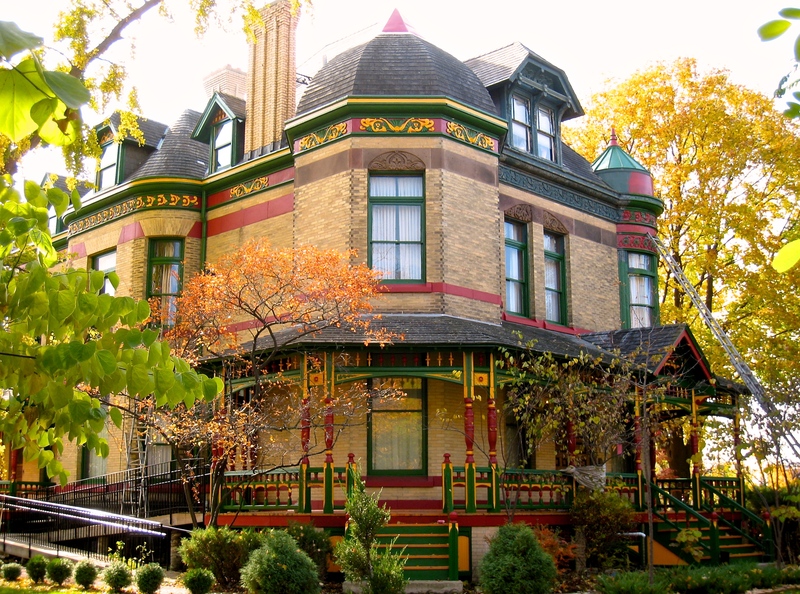 The John Newman House, 321 Division Street, Fall 2009. Mother Nature certainly has her say, as new things spring up and old ones die off. I am constantly trying to keep up with her. I couldn’t even begin to count the hours spent planting, mulching, weeding, trimming and shaping our little sanctuary. I wouldn’t say that I’m an expert but I certainly enjoy the time I spend tending to it. A home like this is a huge commitment. There are always projects and unique circumstances to overcome. Old houses are also harder to clean and keep clean. You have to learn how to pace yourself and not become overwhelmed, which i think happens naturally over time. There’s no real way to measure an experience like this, except to say it was the best/worst decision we ever made. Would we do it again knowing what we do now? Probably not. Still, I wouldn’t trade this experience for anything in the world. You really have to live it to understand it. It’s an ongoing labor of love. The rewards really can’t be put into words. From parking lot to paradise. The transformation of the west side yard at 321 Division Street. West side yard view from the second floor at 321 Division Street. Front Porch at 321 Division Street in 1999. 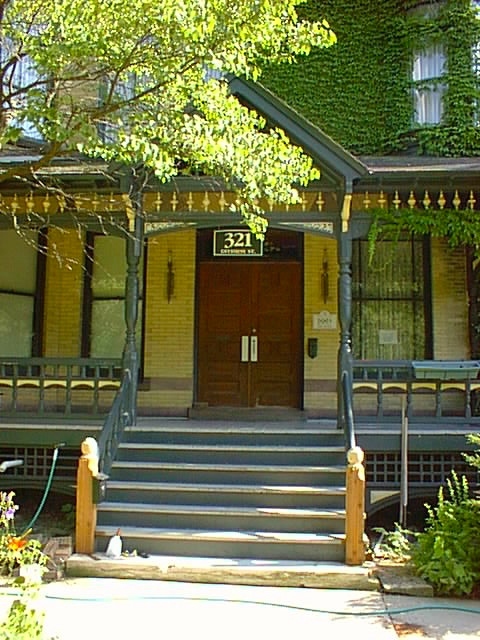 The front porch of the John Newman House, 321 Division Street as it looks today (Summer 2014). By jlinamen1229 in education, Family, Lifestyle, Nature, News, Personal Growth, Photo Essay, Uncategorized on July 27, 2014 . Thoroughly enjoyed this blog entry. Very interesting and informative. Beautiful property and wonderful history. The true value of our home is the joy it brings us. 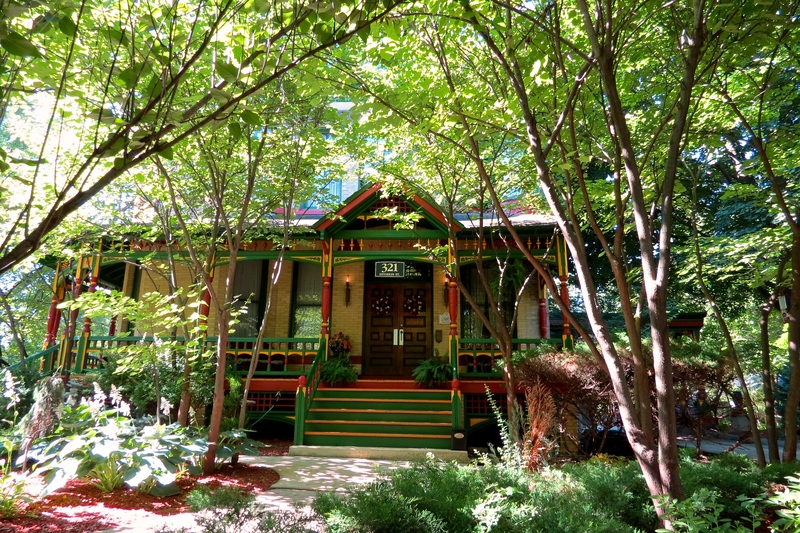 Thanks for sharing about the history of your home and what you have done to it. It’s beautiful.